Thursday, Jan 17, 2019, 9:30 – 11:30 a.m.
Join us for a Family Nature Class and make connections with the natural world that will last a lifetime! 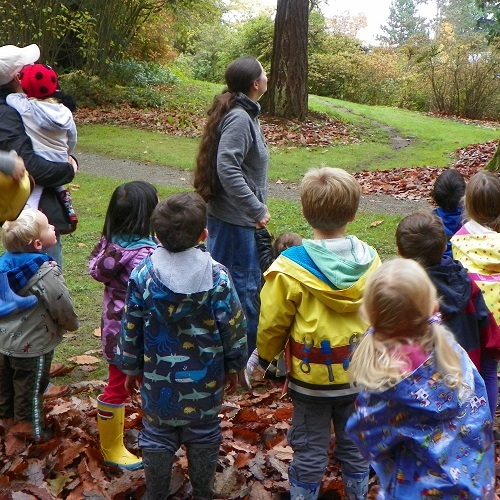 Through science-based exploration and outdoor play preschoolers and their caregivers will experience the UW Botanic Gardens using their senses. Each class begins with an opportunity to explore several learning stations based on the week's theme where children can practice fine motor skills, sensory investigation, creativity, and pre-math and literacy skills. Station time is followed by an opening circle and hike where the group will play games, listen to a story and further explore the weekly theme. Family Nature Class is a great way to get outside with your preschooler, foster curiosity and explore the natural world. WHO: Children ages 2-5. The group maximum is 12 children. COST: $19/class for 1 adult and 1 child. Additional child: $9.50/class (children must be attending with the same adult to receive the second child discount). Additional adults and siblings under 2 are free! Discount available for purchasing 6 or more classes at once.